This hyaluronic acid serum binds moisture to the skin to keep it hydrated. Great for all skin types, especially dehydrated, dry skin. Even acne prone/oil skin can benefit from balancing moisture and oil in the skin. 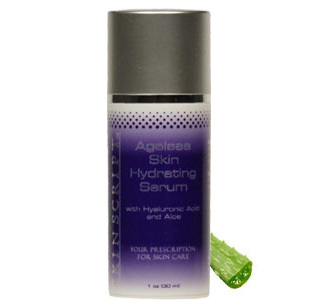 This formula will improve hydration, reduces visible wrinkles, plump the skin, and assist in healing and rejuvenating. Pila’s Tip: This serum works great as a lightweight moisturizer, especially for people with acne prone skin. This serum can be used to firm and plump fine lines. Hyaluronic attracts and binds moisture around cells for extra hydration. Directions for use: After cleansing and toning apply to face, neck and chest. Follow with moisturizer. 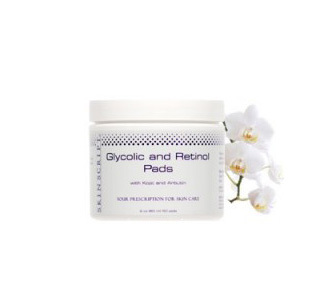 • Glycoderm™ (P)— a combination of water, honey, phospholipids, sphingolipids, and hyaluronic acid. It restores the lipid barrier of the epidermis and increases water absorption in the corneocytes by adding natural moisturizing factors. It plumps and moisturizes the skin and improves the skin’s ability to hold moisture. • Honey is antibacterial and healing. It assists in wound repair, alleviates bruising, and has humectant properties that keep the skin moist. • Hyaluronic Acid— naturally occurs in the dermis of human skin and has water binding properties. It increases skin suppleness and strength, strengthens the intercellular matrix, and smoothes the skin. • Phospholipids assist in barrier repair, improve barrier function, and protect from outside aggressors and bacteria. • Phospholipids— constitute membranes of living cells and modulate their fluidity and permeability. 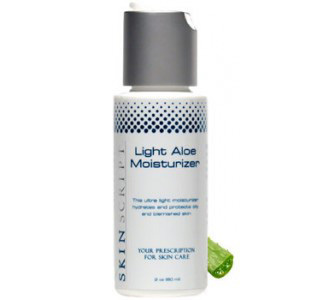 • Sphingolipids— balance surface lipids, regenerate healthy cells, and moisturize the skin. Sphingolipids also emulsify and bind oil and water. • Matrixyl Synthe’ 6— a combination of glycerin, water, hydroxypropyl cyclodextin, and palmitoyl tripeptide-38). It evens out skin and smoothes wrinkles from the inside by rebuilding the skin where it is needed, particularly on the forehead and crow’s feet. It also stimulates the synthesis of the skin matrix and dermal-epidermal junction. • DN-AGE— a trade name for cassia alata leaf extract and protects the cells from DNA damage caused by UV rays. It also supports the natural repairing process of cells. • Lipomoist— a trade name for carrageenans (chondrus crispus) and is a highly moisturizing molecular film that enhances elasticity through cohesion of the extra cellular matrix. It works on adding hydration, elasticity, and firmness to the skin.